Two years have passed since President Abdel Fattah al-Sisi announced in June 2016 that the Egyptian state aimed to “eliminate informal housing” within two years. The announcement coincided with the inauguration of the city of Asmarat in Moqattam, a suburb in east Cairo which includes about 18,000 housing units and is now home to around 10,000 families. Over the past two years, state bodies have worked on the issue of “slums” as per the orders of the president. As a result, the government has prioritized the development of the Maspero Triangle and relocation of residents of “unsafe areas” to Asmarat more than other, similar projects. Asmarat is the largest of the housing projects established by the state to absorb the residents of evacuated areas. Over the past several years, the Maspero Triangle, which is located in the heart of Cairo and was home to some 4,500 families, proved a difficult area for the government to clear out. However, by April, the neighborhood had been completely demolished save for 13 remaining properties. The fund operates through a board of directors comprised of the ministers of housing, planning, local development, finance, electricity and international cooperation, as well as three experts and three representatives from civil society and the business sector, who are selected by the prime minister. Housing Minister and Prime Minister Mostafa Madbuly is the current head of the fund, which is overseen by an executive director appointed by the former prime minister and tasked with conducting the minister’s business and legally representing him. Mada Masr sat down for an interview with engineer Khaled Siddiq, the executive director of the Informal Settlements Development Fund. The interview will be published in two parts, the first of which will address complaints by Asmarat residents, discussing the justice of alternatives presented to Maspero Triangle residents, as well as the fate of the areas evacuated and demolished. The second part will discuss the fund’s scope of work in the previous period, as well as its future tasks and how it prioritizes its objectives. 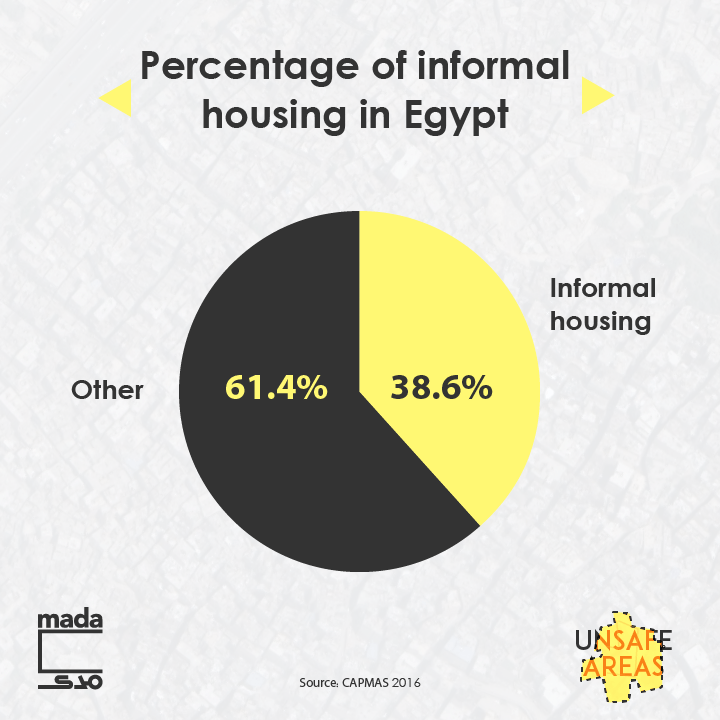 The alternatives in question stem from points raised during a meeting between Ahmed Darwish, who was the deputy minister of housing responsible for the development of informal areas at the time, and Maspero residents in March 2017. In the meeting, Darwish outlined three alternatives for residents as part of the project to develop the area. The first was a compensatory payment of LE60,000 per room in the residence they are being evicted from, in addition to LE40,000 in compensation for leaving the residence. The second option centered on owning an alternative housing unit in Asmarat, while the third was to obtain a housing unit in the Maspero Triangle after a three-year period, when the development project comes to a close. 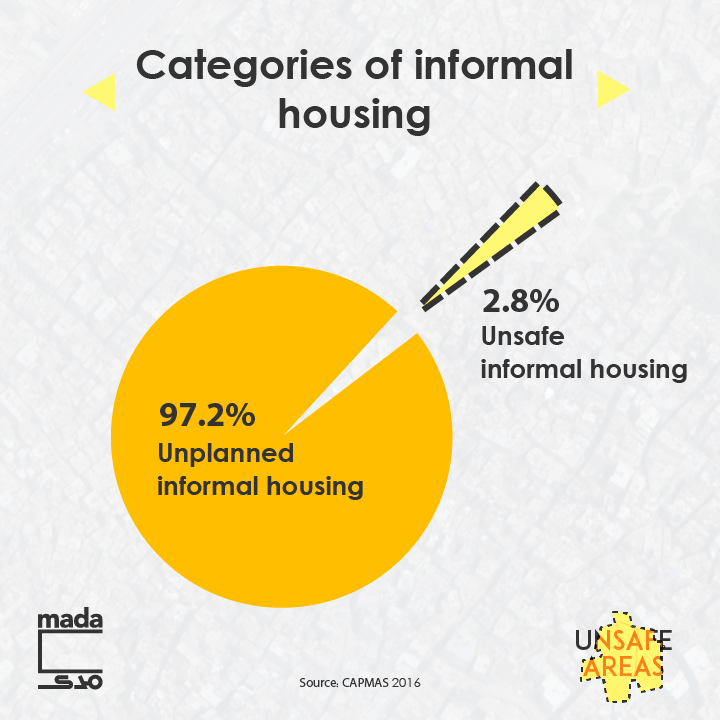 Mada Masr: For the Maspero Triangle, was it not possible to diversify alternatives presented to residents, in order to take into account their economic and social background and make it possible for the majority of families to stay after the development process is completed? Khaled Siddiq: Let’s acknowledge the facts. The number of families registered in our database is 4,531. But those who actually resided there permanently account for about 50 percent of the population. The rest of the families that resided in the area lived there temporarily or in an unstable manner. The people who received monetary compensation were not forced to leave, but saw the money as the best option for them. If they had wanted to stay in the triangle, they would have chosen an alternative rental apartment, especially since we reduced rent prices. Those who chose to rent were people who just wanted a roof over their heads. That’s why we reduced their rent. As for those who chose to own property, those are people who wanted to invest. So we didn’t reduce rates for them. KS: Where did this person live before? 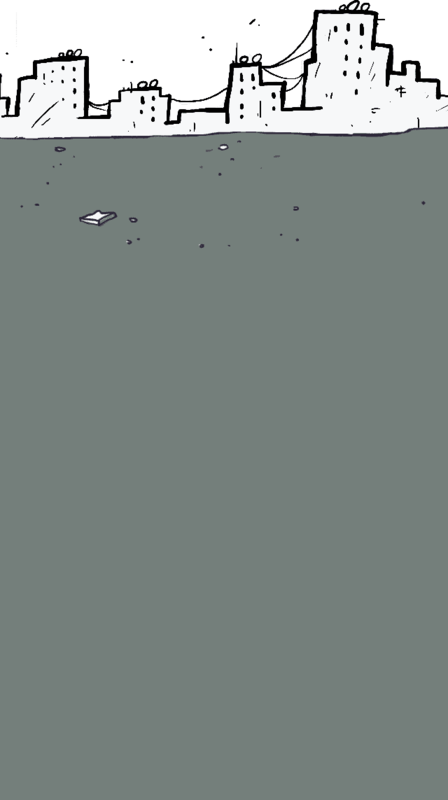 In a dilapidated house, liable to fall at any moment, in an area whose lifespan is over. Most of the tenants were third-generation residents, and, therefore, faced lawsuits from landlords who wanted to evict them from their houses. Where is the safety in living in a building that could collapse at any point, and in an apartment that one can be legally evicted from? In 10 years, the Maspero Triangle would have been terminated under the statute of limitations. What I am offering residents is a new building that they can live in for 200 years and a lease that can be inherited once from the original tenant, as per the rent law. The state did not sell the triangle to investors, as is being said. Rather, it has safeguarded residents’ rights and futures. Since the beginning, the land in the Maspero Triangle has belonged to investors. MM: Investors do not own all the land within the triangle. KS: The majority of the land is owned by investment companies, and the residents only own 22 percent of the land. Houses were located all over the triangle, including on land owned by investors, and not just that 22 percent. The state did not sell the land to these companies, it was the residents themselves who had done so previously. MM: What happened was that the triangle’s land was mortmain property, a family’s waqf. After the waqf ownership ended, the heirs sold most of the land to investment companies, not residents. KS: Does the state have the right to ban anyone from selling their private property? The bottom line is that the state was not the party who sold the land to the investors. MM: But the available alternatives may have prompted people to leave the Maspero Triangle. And proof of this is that 3,500 families out of 4,500 decided to receive monetary compensation or a housing unit in Asmarat instead of receiving a unit in the triangle after its development. Does this mean that rent prices and installments exceeded residents’ financial capacities? KS: The state provided five different alternatives, three of which included remaining in the triangle but using different financial ​​models to make it easier for residents. The state didn’t force people out of the triangle. The maximum rent we offered to people in the Maspero Triangle after its development was LE1,000. You could be living in a place that might collapse in a year or two, and under threat of eviction by a court order ruling in favor of landlords. We, on the other hand, offered residents good housing that they could live in without worrying about whether or not the building might collapse, or whether or not they might be kicked out. All of this for rent that is no more than LE1,000, which was later reduced to LE600 under the old rent law and with a non-temporary lease. This is a very fair price to be able to reside in this part of Cairo. MM: Can Maspero residents afford this kind of rent? KS: What is surprising is that the Maspero Triangle residents who demanded to stay in the area after its development also demanded the largest apartments, which come in at 102 square meters. And most of them chose to lease or purchase rather than rent. MM: Those who made these decisions make up about 900 families of the inhabitants of the triangle, but there are 3,500 families who left and accepted compensation or alternative housing units in Asmarat. KS: They considered monetary compensation as the better option for them. And whoever couldn’t leave the Maspero area demanded an apartment with rent prices ranging from LE325-600, which is a very low price to live in this area. MM: But if the majority of families receive monetary compensation, this might reproduce informal settlements in other areas. KS: Those who left the Maspero Triangle already have an alternative elsewhere. If they didn’t, they wouldn’t have requested monetary compensation, especially given that some of these people were the heirs of the original tenant, and had other places to live. Those who received monetary compensation can apply for one of the state-owned social housing units, which cost around LE220,000, which is the overall compensation for a family leaving an apartment with three rooms in Maspero. In other words, the state compensated the majority of the population with amounts that are higher than the prices of social housing units. In conclusion, we were sure that the compensation we were paying would not create a new informal urban society. MM: After the evacuation of the Maspero Triangle and the demolition of houses in it, what’s the next step? KS: We have signed contracts with all the companies that own land in the Maspero Triangle, stipulating that the state will deduct 40 percent of each companies’ assets in the area for development. Investors won court verdicts to evacuate residents and demolish houses. [The state] could have carried out these rulings. But we preferred not to displace residents. Instead, we agreed with investors to vacate the land they own. In return, the state will take 40 percent of their share in the land to widen the streets and to rebuild new housing units for families that will return to the triangle after its development. This means that, at the end of the day, we’ve maintained the interests of citizens. Now that the land is cleared, each investor can execute their own project on the part they own as they please, whether on their own or through another investor, or even through a partnership with the state. MM: Moving to Asmarat, Maspero Triangle residents have received ownership contracts for their units. Meanwhile, residents who were transferred to other areas have usufruct rights which can only be inherited once. Why were there different approaches? KS: Residents of Maspero who were transferred to Asmarat did not receive direct compensation for leaving their own property. And this compensation, which was not directly dispensed to them, was considered a kind of advance that would allow them to purchase new housing units in Asmarat. As for the others, their situation was different — they get a housing unit without paying in advance and without being entitled to compensation. Thus, they’re granted a usufruct to be inherited once. MM: Asmarat residents mainly complain about being taken out of the social context in which they were able to make a living, without having the ability to recreate it in Asmarat. What do you think about this? KS: The relationships and resources through which residents made a living remain in the area. They can continue to carry out their work in other places while living in Asmarat. A tuk tuk driver can still go to work in Manshiyet Nasser. Shop owners who now live in Asmarat can go to their place of work and return to their new homes. It is not necessary for places of residence and employment to be in the same area. This is not how societies in the developed world work. There is low-cost transportation available between Asmarat, Manshiyet Nasser, Maspero and other areas. The public transportation network is definitely not the same as it was in the 1980s. Also, on Moqattam’s Street 9, residents have everything they need, as well as transportation options to all over Cairo. KS: Apart from houses in the areas of Shahba and Wadi Farun in Manshiyet Nasser, most of the workshops and shops were not located in the same residential buildings [that were demolished], but in other areas, and are still there. And people can continue to work there. MM: There are about 290 shops in Asmarat, but they are still closed and out of service. Why is that? KS: We’ve delayed the openings of these shops, because we’re working on unifying the styles of their facades, so they all look the same and conform to an image of the ideal society. We won’t leave any room for randomness to come back to this area again. At a later date, these stores will be put up for tender. MM: Are calls for tender the most appropriate method for the area’s residents though, if you take their incomes into consideration? KS: The main purpose of these shops is to pump new life into Asmarat, and for residents to be able to satisfy their needs. MM: What about creating jobs for residents? KS: Opportunities will be created through these shops, because owners will depend on residents as a labor force. Also, the chief executive of the neighborhood is now trying to hire residents. There are also 26 acres outside the city where the state will establish a service area to provide work opportunities for residents. MM: Why is there no committee where residents of Asmarat can participate in decision-making and management processes for the city along with executive authorities? KS: There is currently no joint committee with residents, but there is a high-level committee to monitor the situation in Asmarat. It includes representatives from the ministries of interior, supply, health, social solidarity, as well as the Cairo Governorate and the Informal Settlements Development Fund. It also includes officials from the district, the National Council For Childhood and Motherhood, the National Council for Women and the presidency. I go to Asmarat from time to time and meet with the chief executive of Asmarat, as well as the residents, to follow up on their issues and to try to find solutions for them. The governorate will also establish a company responsible for managing Asmarat and facilitating business and life there. This is a newly created society and can’t be 100 percent complete from the first moment. Let’s wait for four or five years and see how the community will look then. The Maspero Triangle: Necessary demolition or forced eviction?